Here's how you can make your Payment Gateways in e-commerce easy and effective. How to choose the best e-commerce payment gateway solution? With customers spending 60% of their time shopping online, the eCommerce industry is rapidly approaching a new boom. Multiple Payment gateways are becoming increasingly important in the eCommerce ecosystem. Today, on an average a website utilizes 3-4 payment gateway options to offer a wide-range of flexibility to customers. On the need basis, multiple eCommerce Payment Gateways have cropped up competitively in the market. Are you in a dilemma of determining the right payment gateway? Stick together; we will help you simplify this task. This comprehensive article takes you through an extensive list of payment gateways and the benefits they hold for you and your eCommerce website. Hosted payment gateways – A hosted payment gateway means the service provider directs the checkout page to their own servers. Web developers love these gateways as this is in a sense like outsourcing and is easy to integrate. API accessible gateways – These gateways are used by those online merchants who do not want the customer payment details to be passed on to other servers. These online payment gateways are flexible but require a web developer to do a lot of work. Direct gateways oﬀered by payment processors – It is the most powerful gateway processor, and a web developer can make it a complete part of the website or App. But it is complex and needs good development skills to integrate. Per payment transaction charges – Cost plays an important role in picking up the payment gateway. When transactions happen in huge volumes even fraction of difference makes a huge impact on the figure that merchants take home. Usually, there is a fixed processing fee and then variable fee as per the card service provider. Make sure you understand all types of fees before you are done with integration. Rate of transactions that complete successfully –Website credibility rely on how easy and secure a transaction is. The success rate of a good payment gateway is around 95%. None of your customers would like to be dangling in between the payment successful or unsuccessful state.You need to do a proper market analysis before you zero down on one. Security standards- Your customer entrusts the payment gateway with very sensitive information, one which must not be compromised at any cost. As a developer, it is your task to ensure the data is encrypted well before it hops on to another server. When a website has multiple payment gateways, its security needs increase and must be met by choosing the most secure payment gateways. A feature-packed payment gateway with lower security standards is a complete NO. Ease of integration and maintenance – Web developers work through the entire software development cycle and must not spend a lot of time integrating the Payment Gateway. There is no easy way out of it but one must not get involved in too much of complex payment gateways, as they are the ones who need to be responsible for its maintenance later on. It must be ensured that the payment gateway is intuitive for the customers too. Multi-currency Support – We must understand that an e-commerce platform has a global reach. A merchant may sell across borders and would never want to be limited by the options available in the payment gateway. A customer would never want to pay in foreign currency as it will charge him exchange fee. So each country of the merchant reach should be able to take payments in local currency. Features may vary, but awebsite with payment gateway must stay secure and easy to use. Integrated into the website to facilitate card payments, wallet payment and other modes of electronic payments, a Payment Gateway is a must for any website. Imagine a world where web developers had to build the code for payment gateways, it would have so much of redundant code written again and again. Payment gateways have really simplified the way we do online shopping today. Responsive websites, Mobile Apps and desktop website all are powered by a third party payment gateway to make our payment functionality easy. BluEnt is one such team of expert web developers who offer best-in-class digital skills to develop websites, Mobile Apps, software, customized App development and eCommerce website development services. 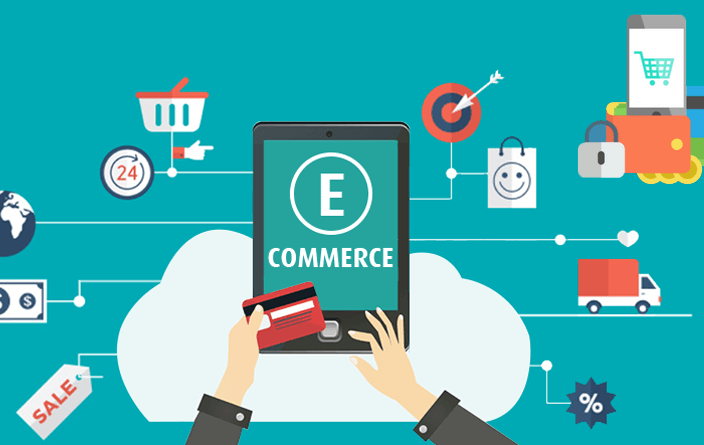 If you need any eCommerce platform help,connect with our experts for the most reliable gateway solutions - suitable for a robust online business.